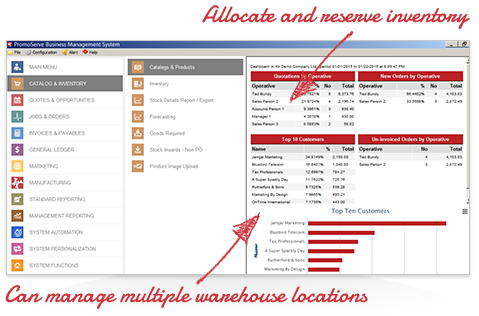 If you're holding stock either virtually or on premise, Customer Focus Enterprise allows you to see at a glance what's available, what's reserved, and where it's located - with full multi-warehouse facilities. Customer Focus Enterprise produces Warehouse Pick Lists, offers carrier integration, and can even be integrated with bar code scanners to help automate the dispatch process. 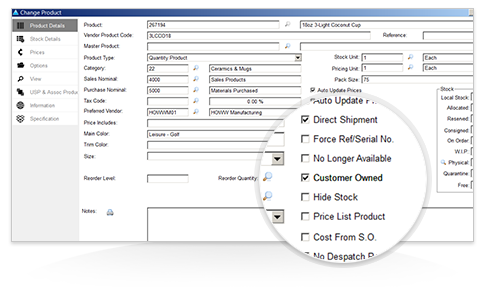 Customer owned inventory can be recorded in the Stock Database, with full transparency over goods in and goods out. Customer Focus Enterprise will even warn you when inventory levels fall below a certain value. 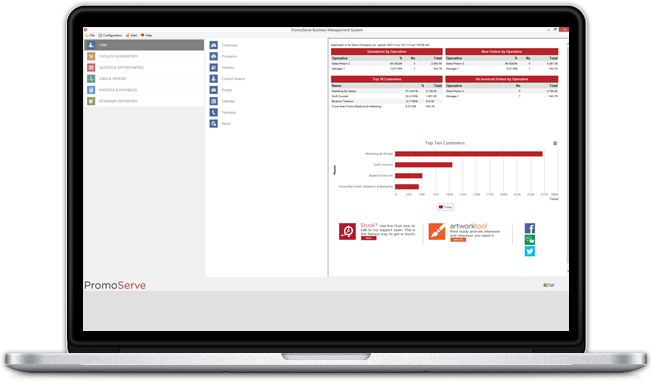 You can set stock call off schedules, create custom dispatch reports, and automatically raise invoices for any unpaid-for stock dispatched. With our integrated corporate scheme websites, your customers can shop online with real-time stock levels, too.